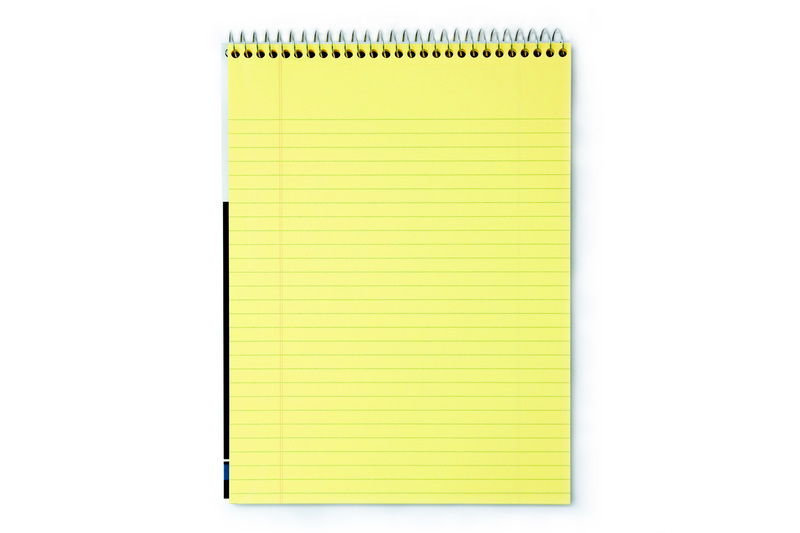 The typical US-American Legal Pad: yellow paper, perforated, spiral bound, lined with heavy cardboard backing. Just like the U.S. attorney’s use. 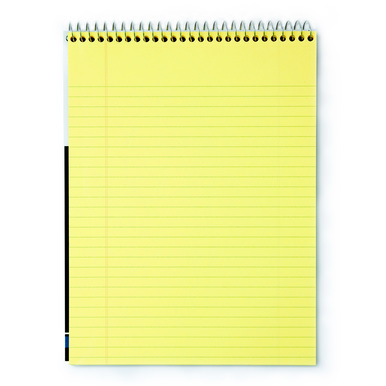 We sell the notepads in the US standard letter format.